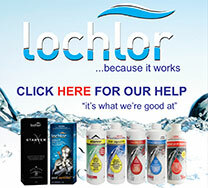 WA's biggest distributor of leading Australian brands for the pool & spa industry. Austral Pool Solutions was established in WA in 1975 providing pool pump and filtration equipment. From humble beginnings, Austral has grown to be a leading distributor of swimming pool and spa equipment, accessories, leisure products and chemicals. As a four time industry awarded leading supplier, we offer superior sales and technical support. With two office and warehouse facilities totalling over 3,200 square metres, we are able to provide a wide range of stock and always strive to provide rapid turnaround of orders. Austral Pool Solutions has received the WA Supplier of the year from the Swimming Pool & Spa Association of Western Australia (SPASA) for 2008, 2009, 2010, 2011, 2015 and 2016.